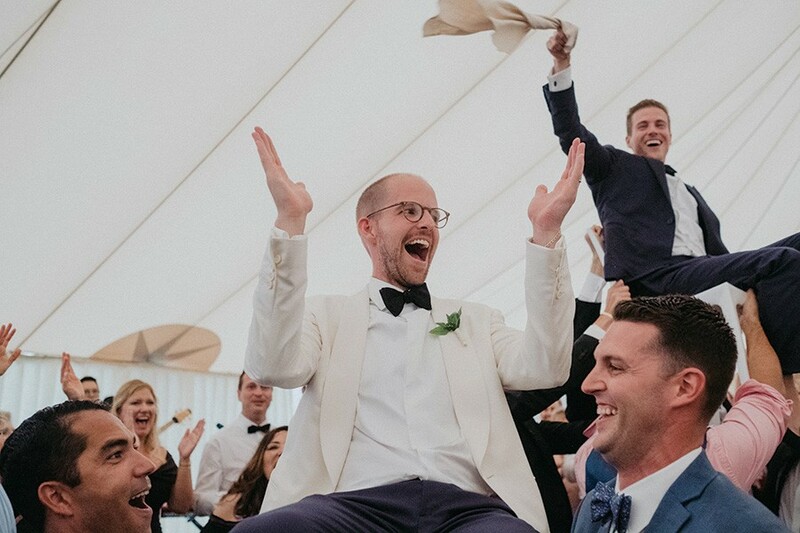 At a celebratory gathering the night before their August 2018 wedding, grooms Scott Ehlen and Zachary Robbins gave their guests a 10 o’clock curfew, gently reminding them that “Saturday is a big day.” But as the evening progressed—and the couple’s phones buzzed with videos of their friends dancing at nearby bars until the wee hours—it became abundantly clear that “everyone had completely disregarded it,” Zach says with a laugh. 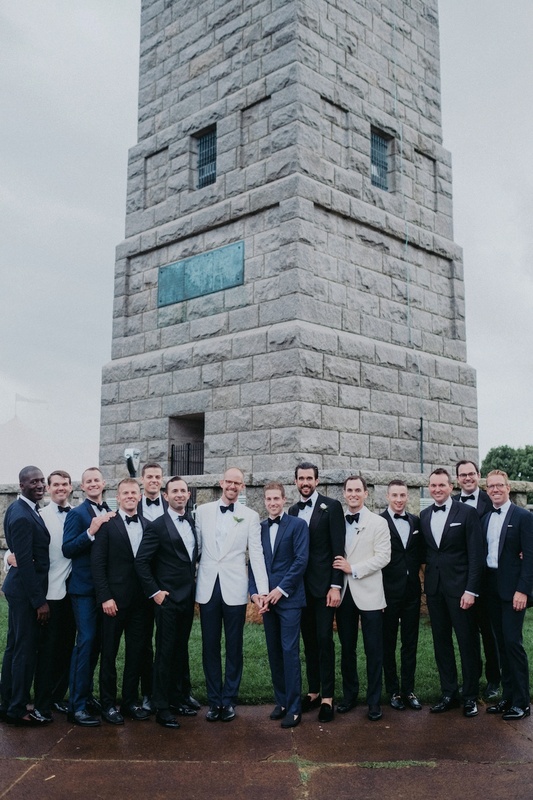 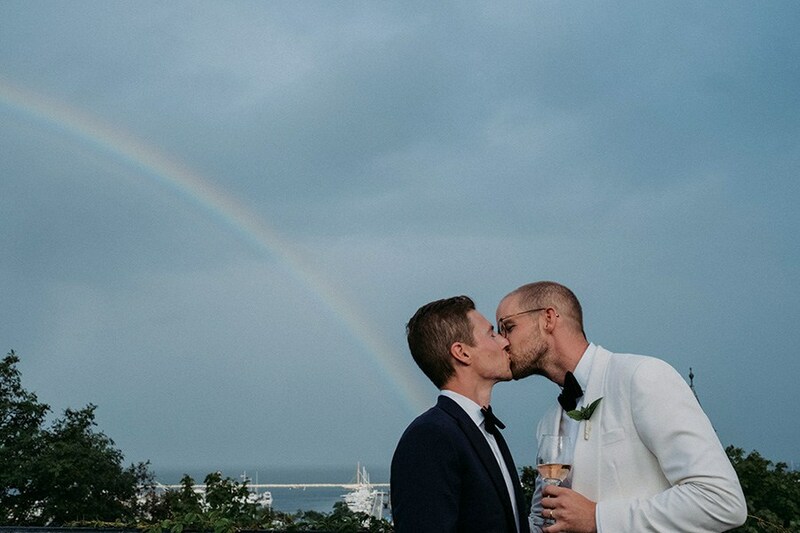 Scott and Zach chose the Pilgrim Monument for its gorgeous views and historical significance. 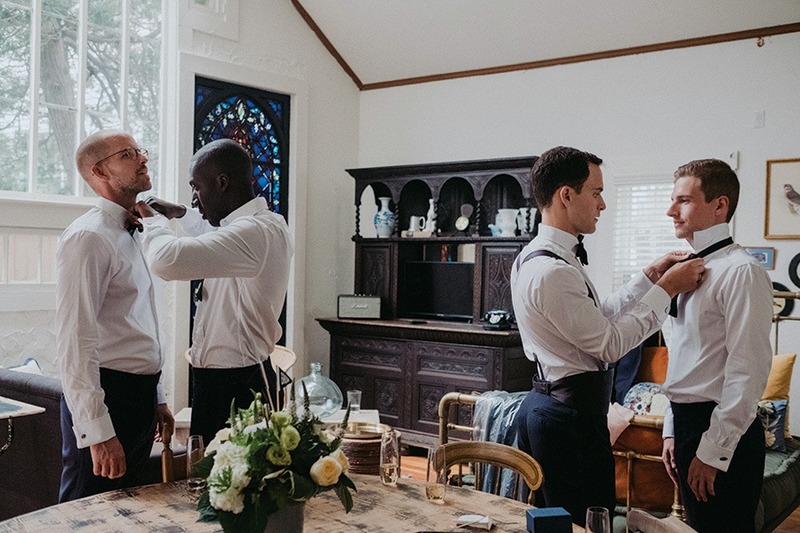 After a workout on the beach with Barry’s Bootcamp, friends helped the couple get ready at the Cottage at Eben House. 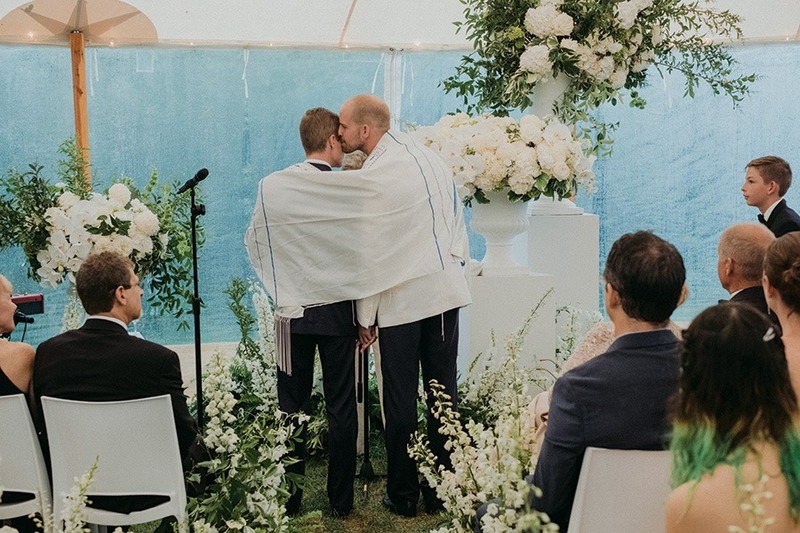 The grooms’ fathers draped Zach’s prayer shawl—a gift from his great-great-aunt for his bar mitzvah—over their shoulders during the ceremony. 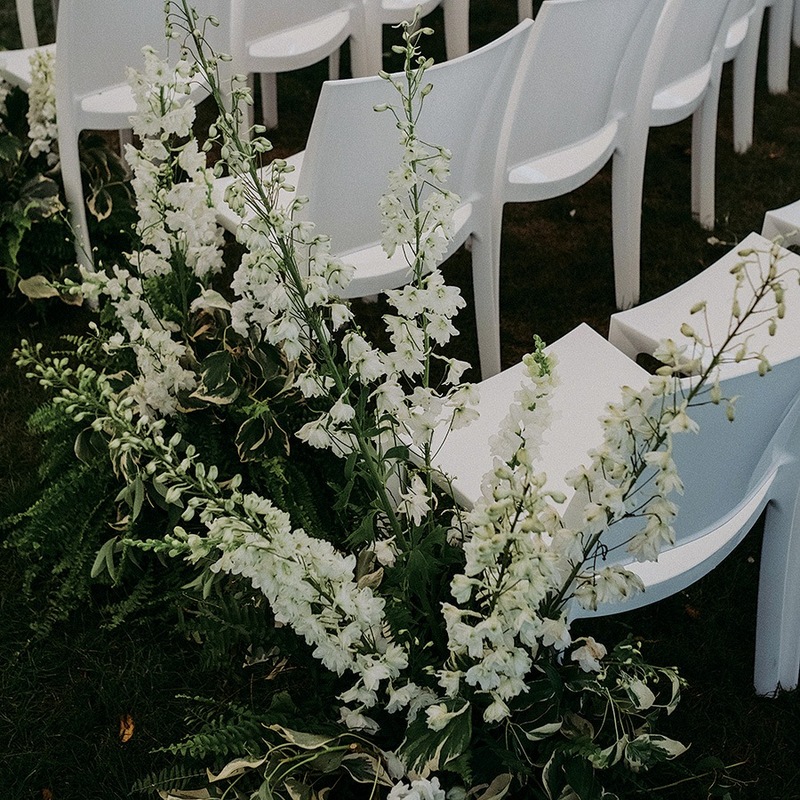 Florist Table & Tulip incorporated some 60 varieties of white flowers into its design. 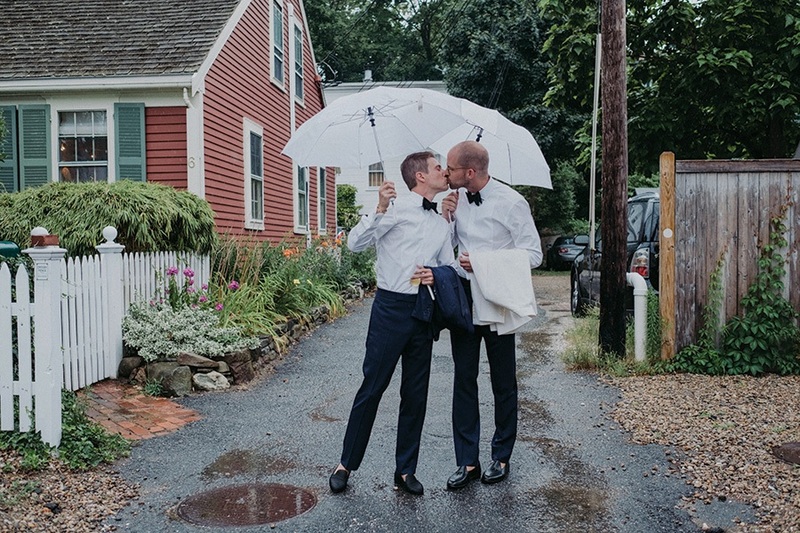 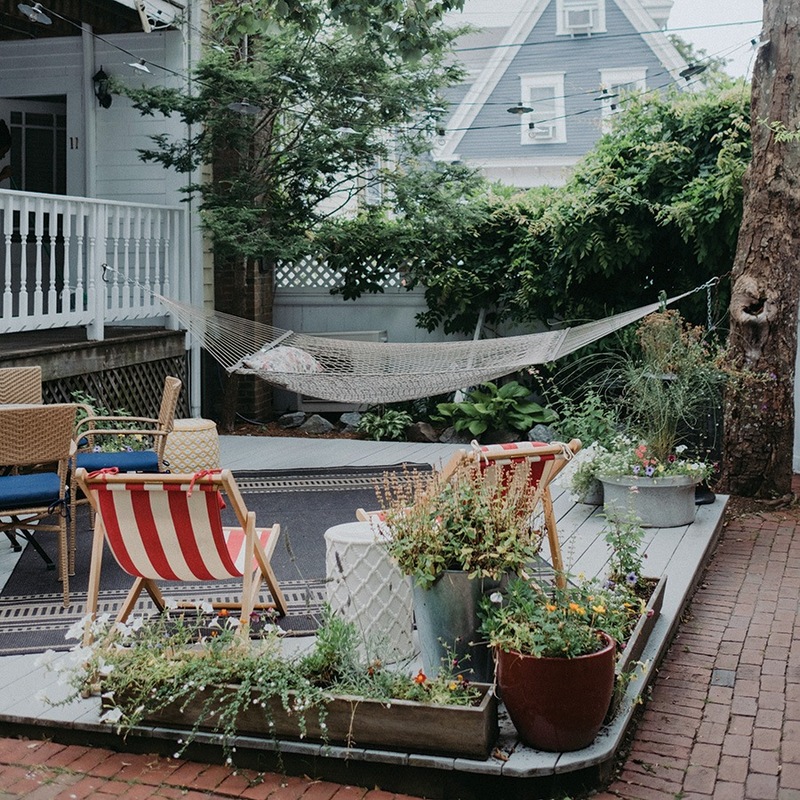 Throughout the weekend, the couple’s friends and family congregated in Eben House’s backyard. 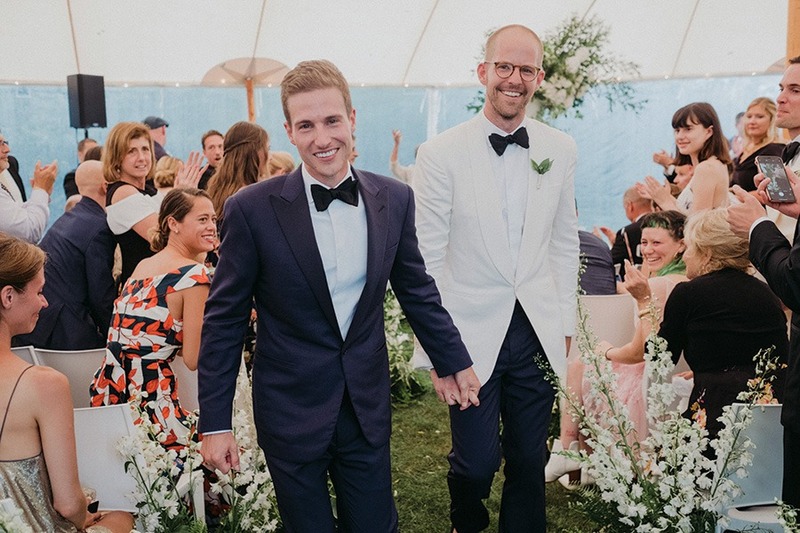 The couple wanted the evening to feel like “we were hosting 175 of our best friends and family at our house for a dinner party,” Zach says. 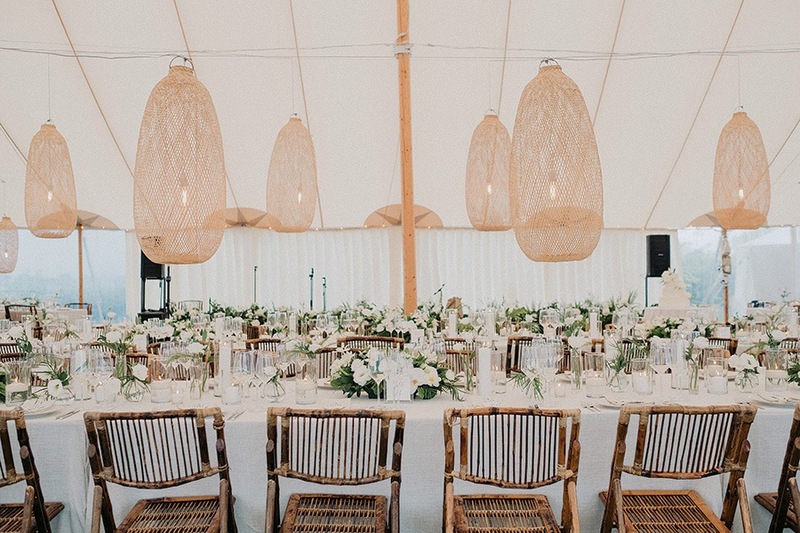 Low-hanging custom lanterns from Drape Art Designs contributed to the cozy feel. 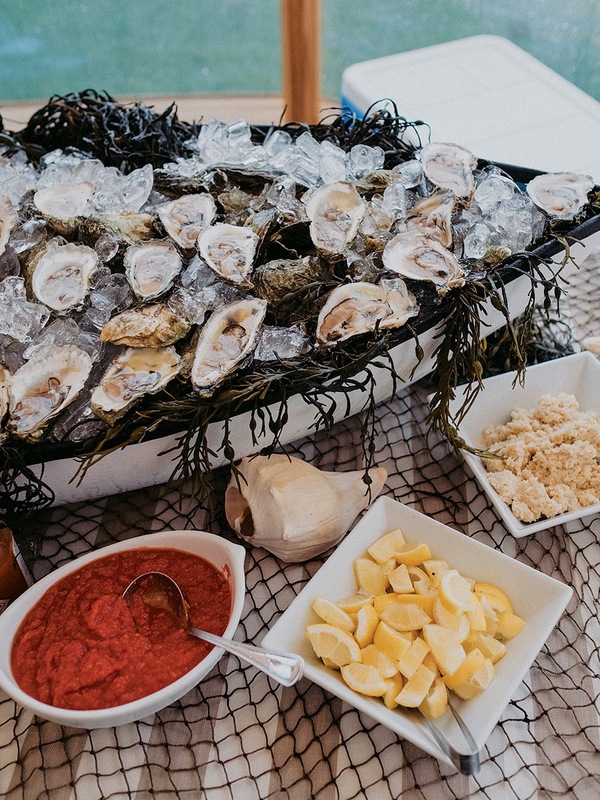 Most of the food, including the Wellfleet oysters served at the raw bar, was locally sourced. 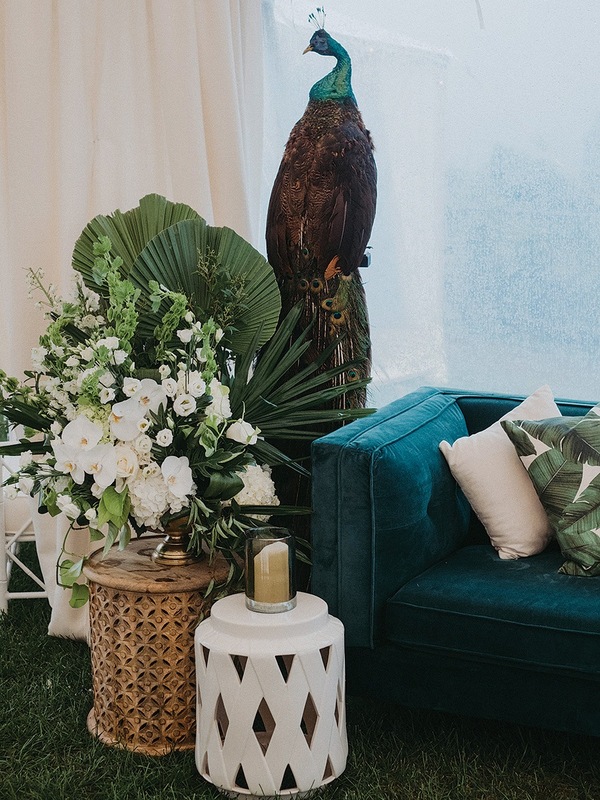 A peacock statue from Table & Tulip lent a touch of whimsy to the festivities. 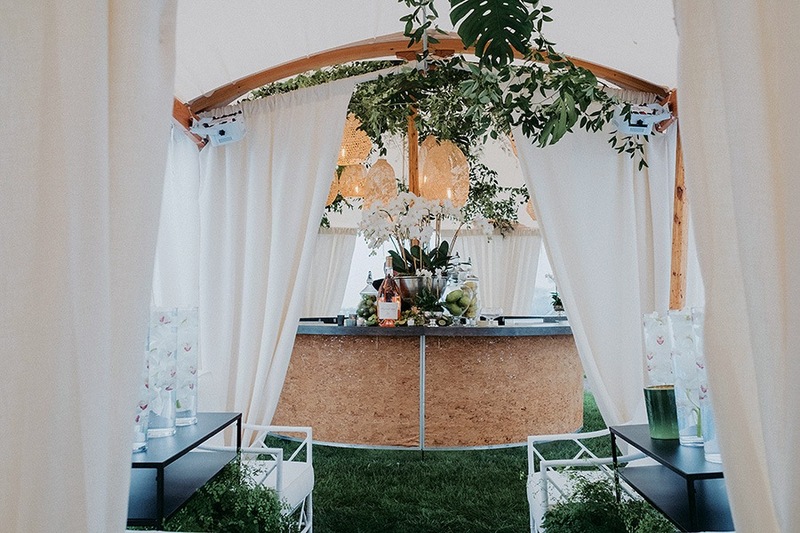 The bar had its own tent with drapes and lighting, which gave it a “super-chic, intimate” vibe as the sun went down, Zach says. 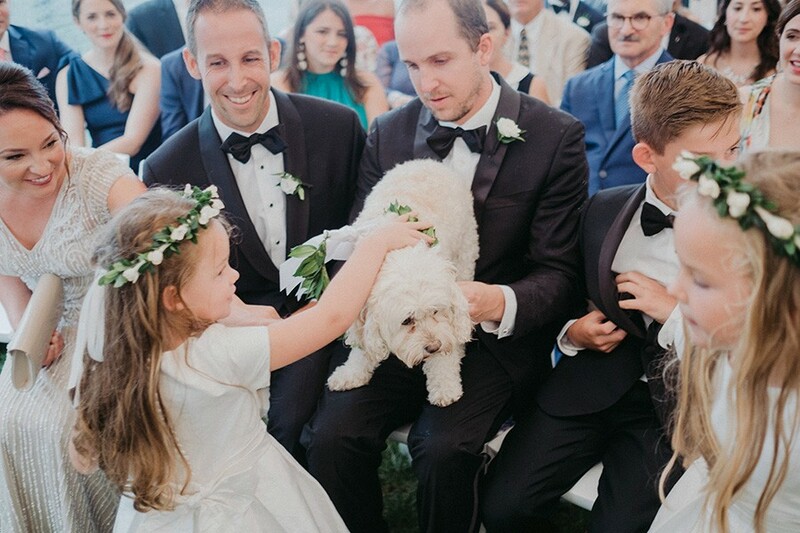 The couple’s beloved cockapoo, Flo, joined in the celebration. 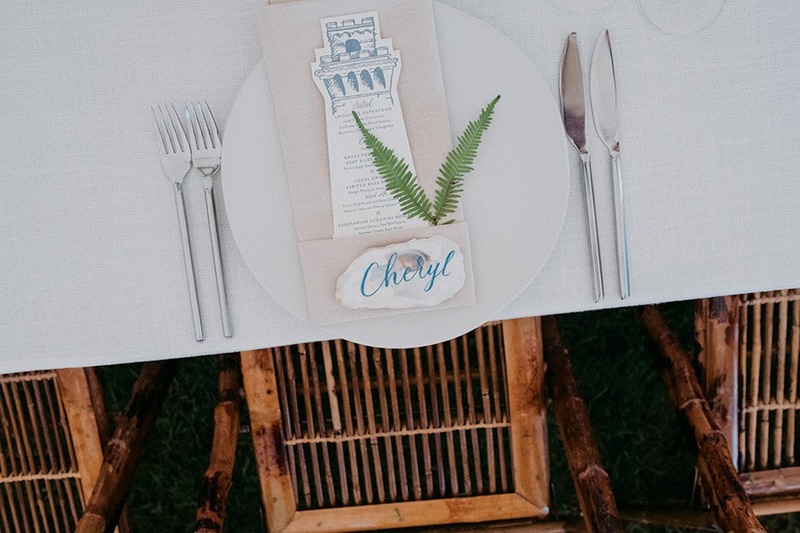 Instead of traditional paper place cards that could blow away in the ocean breeze, Scott and Zach used hand-lettered oyster shells to guide guests to their seats, which included a menu designed to look like the Pilgrim Monument.